Happy new year wherever you’re reading this, and welcome to a Sunspun 2015! How is it nearly February already? We hope you’re lucky enough to still be enjoying a last few days of holidays before the year seriously gets going. We kick off the year by bidding adieu to Jules and Kylie, who have left us for new adventures. Between them they have taught classes, coordinated sample knitters, written blog and Instagram posts, and offered much knitterly wisdom. Amy, all of us in the shop and our customers will miss their warmth and style greatly. Join us and keep up with Jules’ news from Edinburgh on her blog and with Kylie on hers. At Sunspun, we look forward to another year of making with you. The shop will see a few new faces and we are developing exciting projects for release during the course of the year. The first of our new initiatives – our own Sunspun kit! 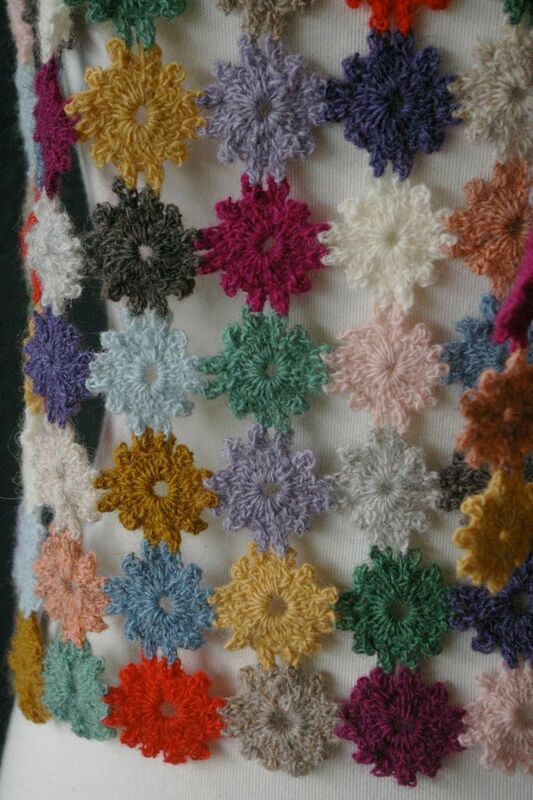 – is Blossom, a wildflower meadow of a scarf. This lightweight, modular crocheted scarf is perfect for warm-day crafting, and for those days when you don’t want a squishy woolly garment growing on your lap. It’s also wonderfully quick: one round, and you’re done. You’re likely to spend more time picking which colour to take up next than actually making the motif. 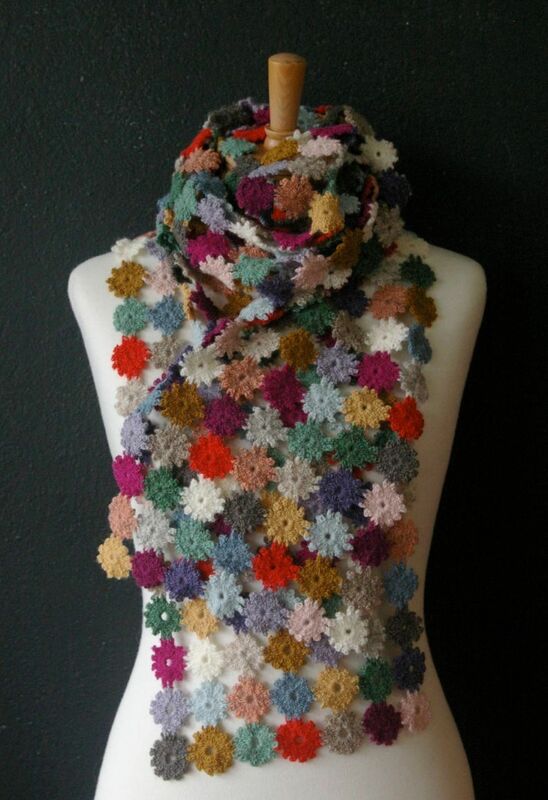 The Blossom Scarf kit comes with sixteen beautiful Isager Spinni colours and the pattern. All you need is a 3 mm hook and you’re off! 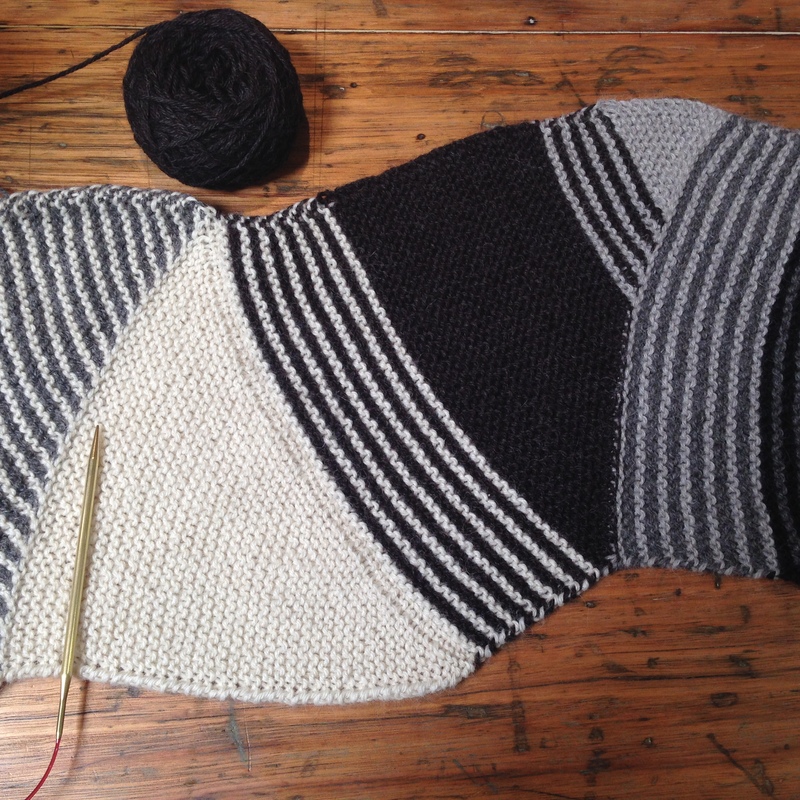 Or you may want to make a monochrome or striped version, or take inspiration from a Sophie Digard palette. Blossom kits are available now; come in and look at our finished sample in-store. 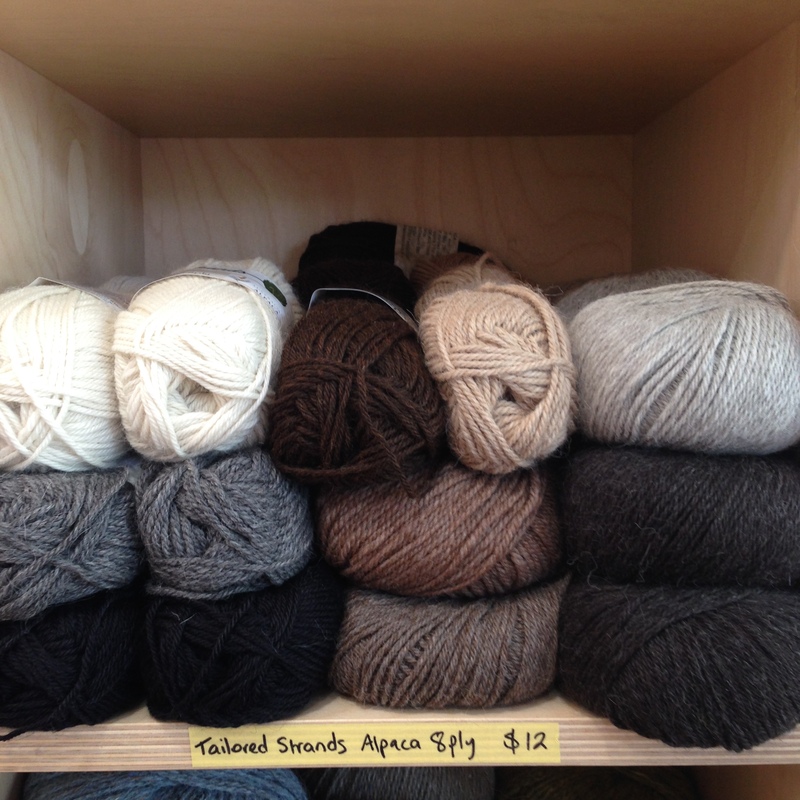 Since it’s the Australia Day long weekend, we thought we’d showcase the ANZ yarns we carry in-store. 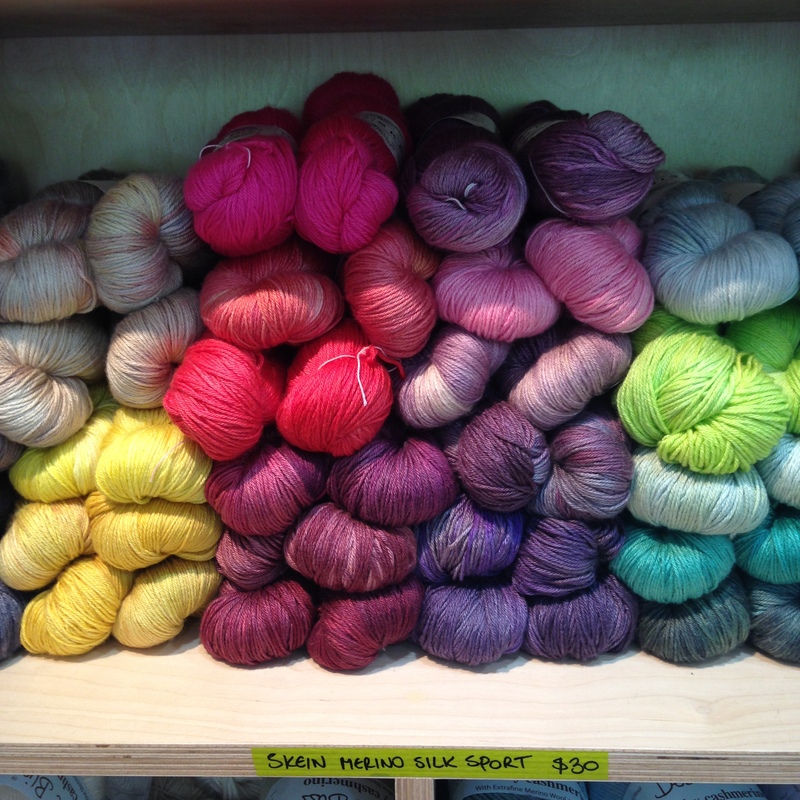 Skein yarns: we have Merino Silk Lace, Merino Silk Sport and Top Draw Socks. One skein of the Silk Lace is enough to make the stunning Rock Island. 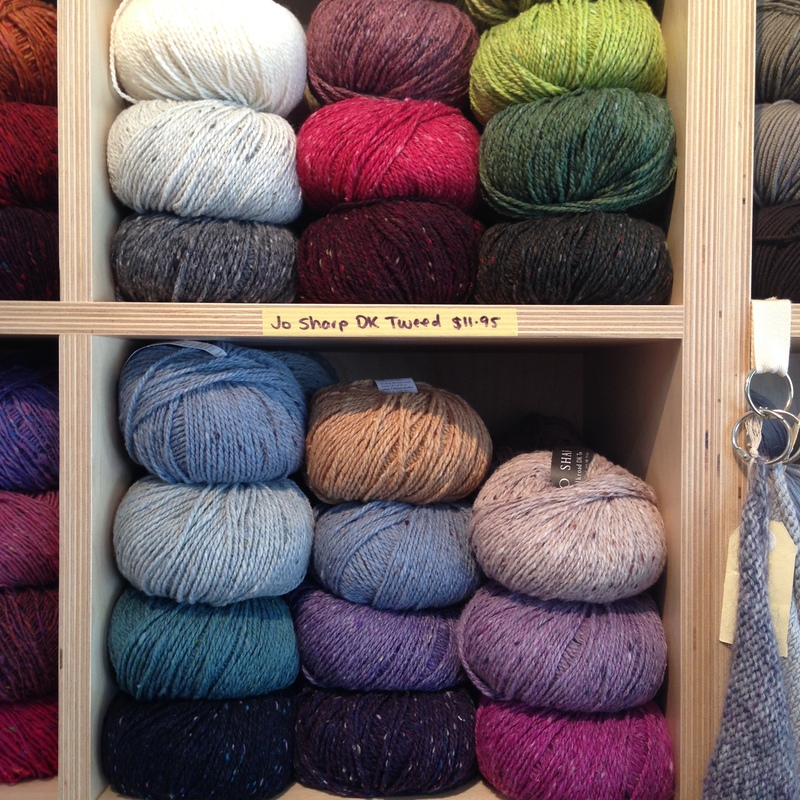 Jo Sharp: Silkroad Aran Tweed and Silkroad DK Tweed. 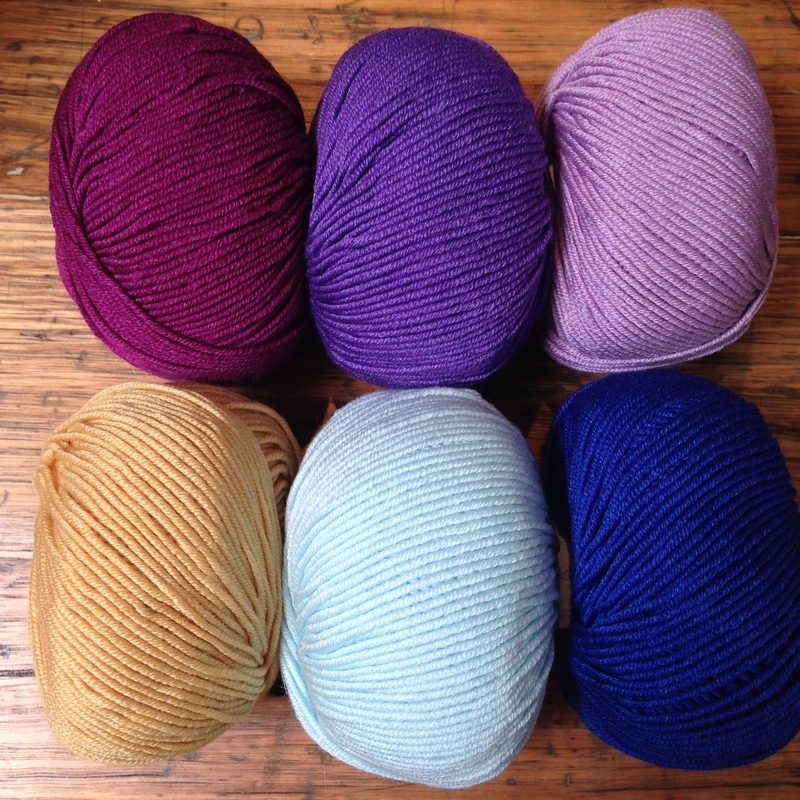 In other news, we have new colours of Sublime Baby Cashmere Merino Silk. 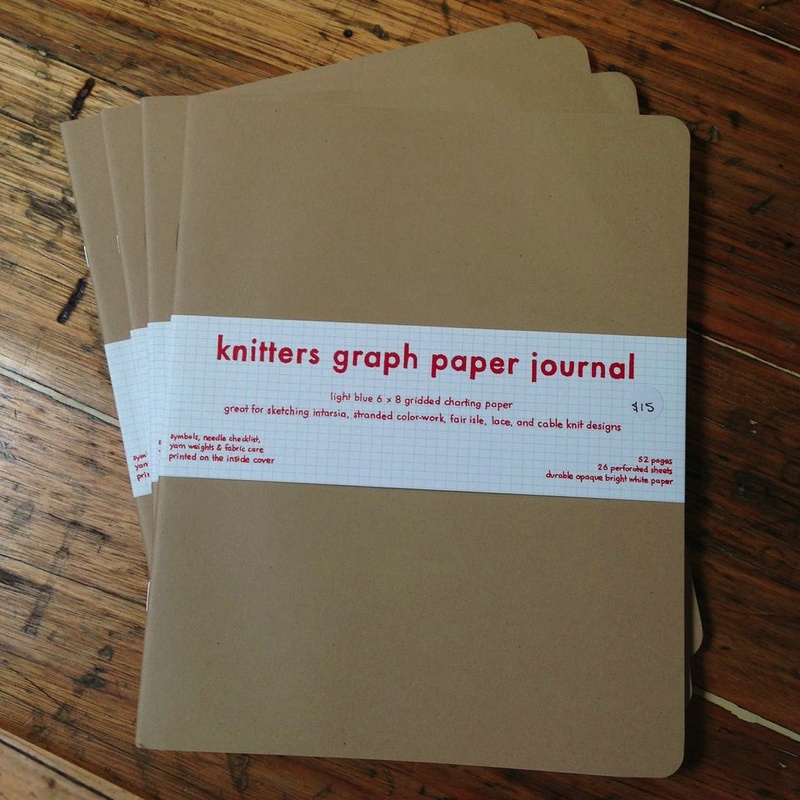 And we now stock knitters’ graph paper in journal form for you to chart your next cable, lace and colour work. The journals come with a handy symbols cheat sheet too. What’s on our needles: Jackie is working on Veera Valimaki’s Simple Sprinkle cowl; we’ll post finished pictures when she’s done. As ever, we’re here to help you with ideas, inspiration and advice. 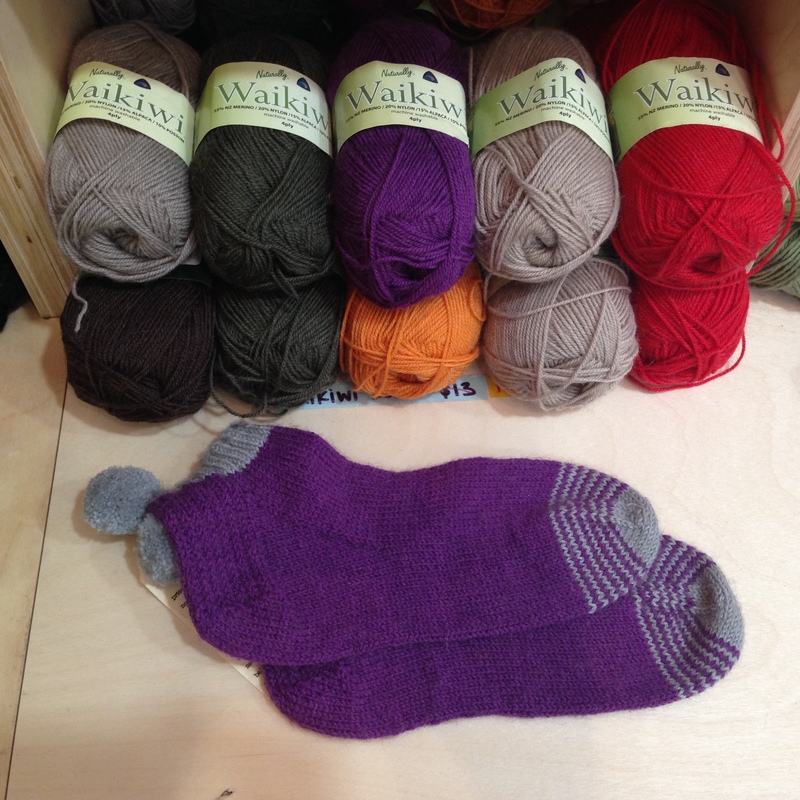 Come in-store and say hello, or you can stay in touch with us via Instagram, Ravelry or this blog. SO lovely to read this from the other side of the screen! I’ll miss you all so, so much but will be watching from Scotland and keeping a close eye on Sunspun exploits! Now I’m itching to make a Blossom!